Ryerson librarian Jane Schmidt wrote last year about Little Free Libraries in an essay The Trouble with Twee that I found recently via William Denton. Do you really just want to share your old books and meet your neighbours? That’s fine – start a book exchange, but please don’t call it a library. Are you a teacher and want to use it as a class project? Fabulous idea, but please ensure advocacy for the public library is part of that learning module. Do you really want to ensure that there is equitable access to reading material and support literacy in your neighbourhood? Maybe your energy is best directed supporting the local public library or grassroots advocacy for universal daycare. There are many ways to build community – a box of books is one of them, to be sure, but there’s more to the story than appears. 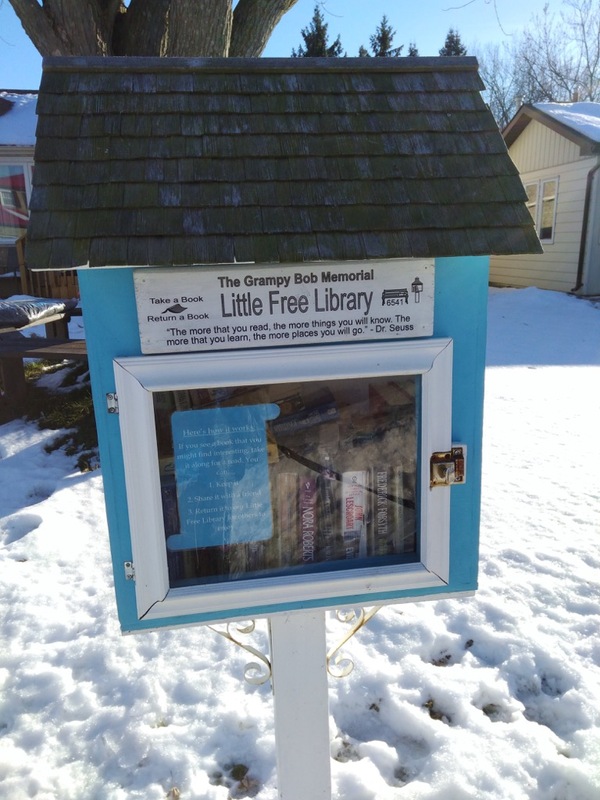 Reading Town PEI’s Tiny Lending Library legacy project promotes literacy and the love of reading by building free book exchanges, little houses for books, that are then adopted into communities across PEI. Tiny lending libraries will be adopted into communities from one tip of the Island to the other, each will celebrate reading and promote curbside literacy through community book sharing. These little community magnets foster a reading culture in whatever neighbourhood they are adopted into. The libraries encourage the development of sharing networks and support universal access to a diversity of literature. I’ve benefited twice–once when I was about to get on a train in Vermont and once over Christmas when I found a spy thriller in the box pictured below near my in-laws in Napanee–from the presence of Little Free Libraries. And I’ve done what I can to encourage their development here in Charlottetown. 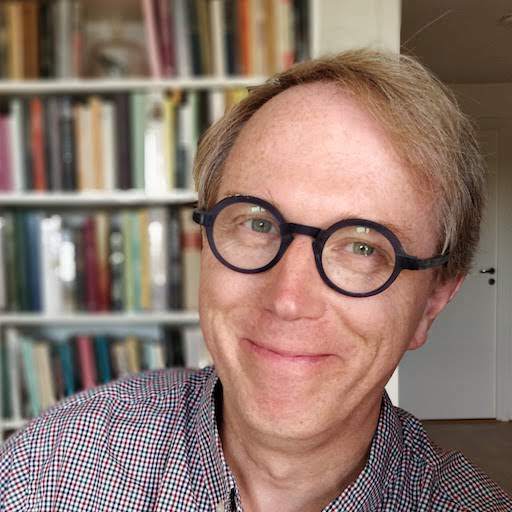 But Schmidt makes a strong case for the notion that, by investing efforts in these twee projects, we’re taking our collective eyes off the important ball, which is the nurturing of real public libraries, the continued existence of which is always in some doubt. Written January 29, 2017 at 3:04 p.m. Interesting observations. From a community aspect these tiny book cases have intrigued me. They look friendly, and transmit that as a message, but I'm unsure about their community building powers. To me it seems they don't foster interaction (I put a book in, you pass by next week and take one out), nor set a rhythm, or do any of the other dozen or so things that are the 'levers' of building community. Except maybe for turning a part of the public space into a shared space, by its presence on the curb. Makes you feel part of something. Calling it libraries does seem a bit stretching it, yes. Libraries are not about just 'shelves of books', but about literacy, curation, critical thinking, diversity, exploration. Most of these small libraries (I encountered one in a micro-brewery last Friday) are more like 'the books I can't be bothered to shelve myself anymore but feel bad about throwing away'. Quality is an issue I think, in order to qualify as library. Schmidt's point about not losing sight of the public library in all this is important. Even though the public library often isn't about access to books so much anymore, it is taking on crucial new roles, spreading different types of literacy. Digital literacy, maker literacy etc. I do some work with the Frisian provincial public library here in the Netherlands, and they for instance use their mobile FabLab (an existing library truck with books exchanged for maker machines) to visit schools around the countryside, they are rolling out a province wide Coder Dojo effort etc. I feel the same way about tool libraries and other such borrow/rent/share type ventures - they're all designed for transaction, whereas true libraries are designed for connection - between people, or between people and ideas. The difference may be subtle to some, but profound when you really think about it.